and the soundtrack has been released independently on CD. She also produced a website for Powerlines. Hall’s music has been performed and broadcast in North America and Europe, and has been featured on CBC Radio’s Two New Hours, Radio-Canada’s Musique Actuelle, Le Festival International de Musique Actuelle de Victoriaville (Quebec), The Scotia Festival of Music (Nova Scotia, Canada), New York’s Bang on a Can, Sonic Disturbance Festival of Sound in Ohio and the Subtropic Music Festival in Florida, and in prestigious venues such as Merkin Concert Hall in New York. She has received commissions from Hemispheres Orchestra, The Music Gallery (Toronto), Le Grand Ensemble de Saxophones de Montréal, S.O.I.L. (Belgium), and is an asssociate composer of the Canadian Music Centre. Helen Hall’s writing and research has been published by Leonardo Magazine (MIT Press) and Musicworks, Toronto), and beginning in 2018, her music will be published by Da Vinci Edition (Japan). She has been an invited speaker at the Great Hall of the Bakken Library (Minneapolis) Cranbrook Academy of Art (Detroit) and at the Resonant Intervals Conference (Calgary). She was awarded a Visiting Research Fellowship from the Bakken Library and Museum of Electricity in Life in Minneapolis in 2006, and has been a guest lecturer in Music, Literature, Visual Art and Film departments in Canada and the U.S. and has taught music and sound design at the National Theatre School of Canada for a period of ten years. She has an extensive background in classical music, and has studied computer and electronic music, the physics and acoustics of sound, and sound engineering. While studying computer music she began to understand music in physical, acoustic terms. This led to her further understanding of music as an ‘energy system’, and to independent research into electromagnetism and the work of Nikola Tesla, who based his understanding of electromagnetism on acoustics. The documentary film project Pictures of Infinity is the result of this research. Development of the film involved research at the Nikola Tesla Archive of Columbia University, research and filming at the Nikola Tesla Museum in Belgrade, and in other parts of Serbia, and a Visiting Research Fellowship from the Bakken Library and Museum of Electricity in Life in Minneapolis, U.S.A.
Carole Dean has produced more than 100 television programs including the historical series Filmmakers, now housed in the National Archives, and the popular cable series HealthStyles, where she interviewed some of the biggest names in the alternative health industry, including Dr. Deepak Chopra, Dr. Weill and Dr. Caroline Myss. As President of Studio Film and Tape Inc. for 33 years she created an industry with film short ends and was the world’s largest tape recycling supplier, with offices in New York City, Los Angeles and Chicago. 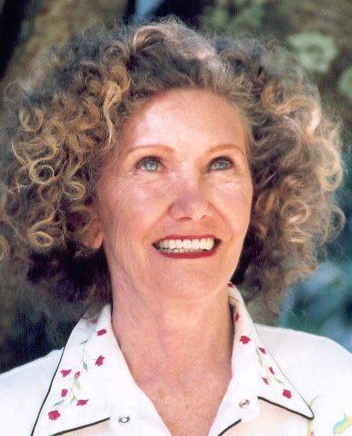 In 1992 Carole created the Roy W Dean Foundation in honor of her late father, and has awarded grants to support the production of more than 50 films. Her book The Art of Film Funding (Los Angeles: Michael Wiese Publications) has become a bestseller and is now in its second edition. Carole is President and CEO of From The Heart Productions Inc., a nonprofit 501C(3) dedicated to funding films that are “unique and make a contribution to society”. Through her fiscal sponsorship program, independent film awards program (Roy W. Dean Grant), and film funding classes, she assists filmmakers across the country and around the world to produce their compelling films. Her grant and mentorship programs have provided filmmakers with millions of dollars in goods and services and have helped to establish the careers of some of the industry’s most promising filmmakers. Carole Dean received a Lifetime Achievement Award from Women in Film and Television International in 2013 and an Albert Nelson Marquis Lifetime Achievement Award in 2017. 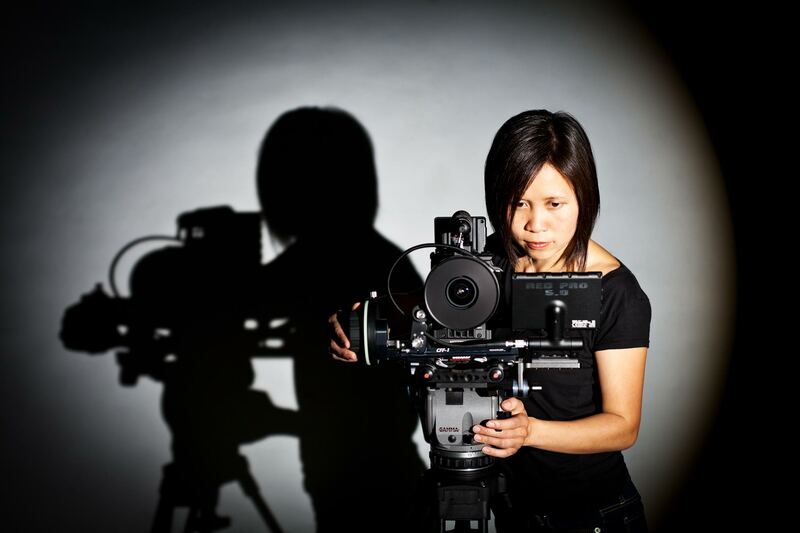 Iris Ng is a cinematographer with over a decade of experience collaborating with award-winning filmmakers and artists on over sixty projects in documentary, art, narrative films, series television, commercials, and music videos. Her credits include Stories We Tell directed by Sarah Polley (Best Canadian Film – Toronto Film Critics Association, Best Documentary – Los Angeles Film Critics Association, and Best Non-Fiction Film – New York Film Critics Circle), Herman’s House directed by Angad Bhalla (Emmy Award for Outstanding Arts & Culture Program), and The Ghosts in Our Machine directed by Liz Marshall (Best Canadian Feature – Planet In Focus International Film and Video Festival), as well as films directed by Fredrik Gertten, Rama Rau, Min Sook Lee, Michael McNamara, Martha Burns, Fisher Stevens, Vikram Jayanti, and artists Chris Curreri, and Oliver Husain. Soon to be released projects include Storyline Entertainment’s League of Exotic Dancers, the NFB’s The Apology, Yap Films’ Loretta Lynn: Still a Mountain Girl, and Making a Murderer a multi-episode documentary series that premiered on Netflix. 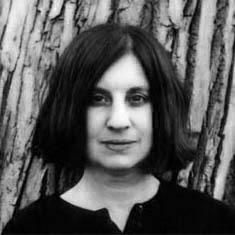 Erica Pomerance is an independent documentary filmmaker, writer and producer. She has been involved in filmmaking for more than 40 years, with films that explore her long-time interest in the experience of Canadian First Nations = such as the international documentary series Finding Our Talk (2008), and Race Around The Great Turtle (2007), both for the Aboriginal People’s Television Network (APTN); and her interest in contemporary Africa, with films such the award-winning Dabla! Excision.She divides her time between Montreal, Quebec and Mali.